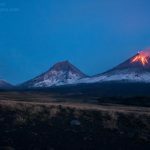 le chaudron de vulcain – September 22 , 2016. EN. Kawah-Ijen , Turrialba , Soputan , Nevados de Chillan . Home / blog georges Vitton / September 22 , 2016. EN. Kawah-Ijen , Turrialba , Soputan , Nevados de Chillan . Installation of volcanic gas monitoring stations on G. Ijen, East Java, conducted from September 14, 2016, in cooperation between the VDAP (Assistance Program in case of volcano disaster), the USGS and PVMBG ( volcanology center and mitigation of volcanic disasters). 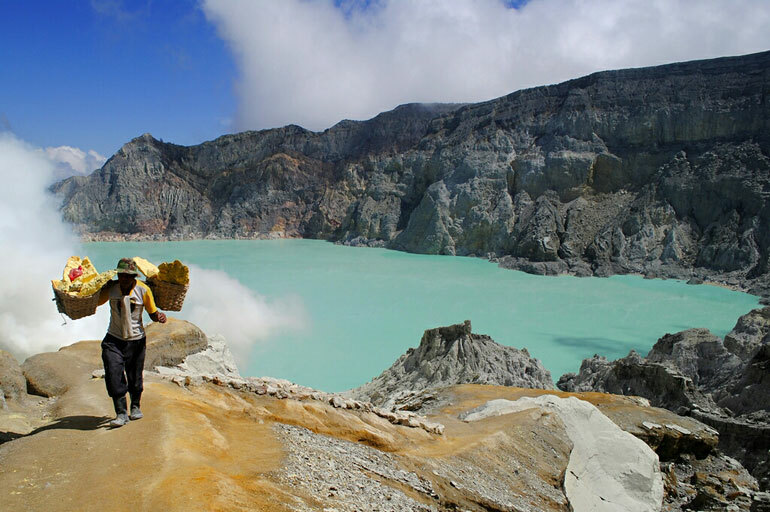 This installation of volcanic gas monitoring stations on Mount Ijen is to determine the composition of volcanic gases and their changes in real time, which should facilitate the monitoring and observation of the volcanic activity of Ijen. Earlier, in September 2015 he was already tested using one (1) gas monitoring equipment (multi-gas) around the crater of Ijen and it showed that the measurement results were good. So this is a fundamental and permanently monitoring facility using a telemetry system. Installation of volcanic gas monitoring stations was built in two (2) locations around the top of the crater, one of the dam site and a location on the edge of the crater wall. These gas monitoring tools use MULTIGAS process in which the device can measure the concentrations of volcanic gases CO2, SO2 and H2S. This tool can also monitor wind direction and speed. The measurement results will be transmitted by telemetry to the Observation Post of Ijen volcano in the village of Tamansari, Kecamatan Licin, Banyuwangi, East Java. 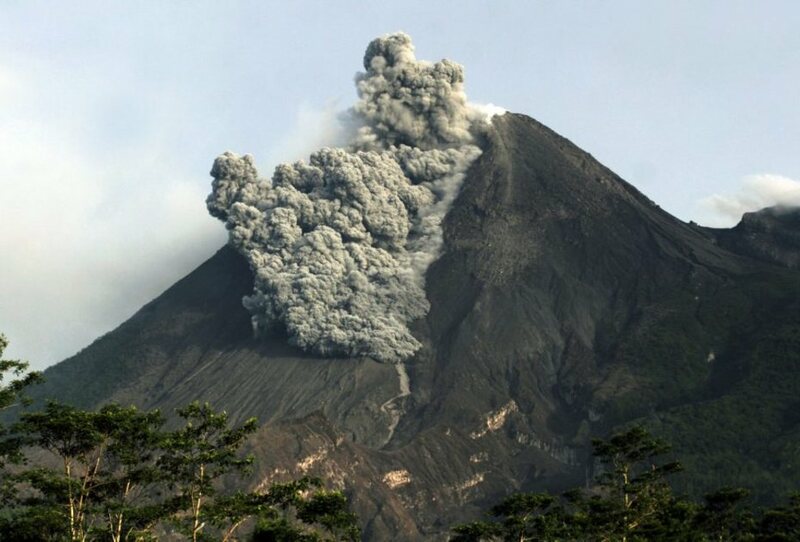 From 9 am September 21, 2016, intermittent emissions of ash, gas and steam from the active crater of the Turrialba volcano persist. 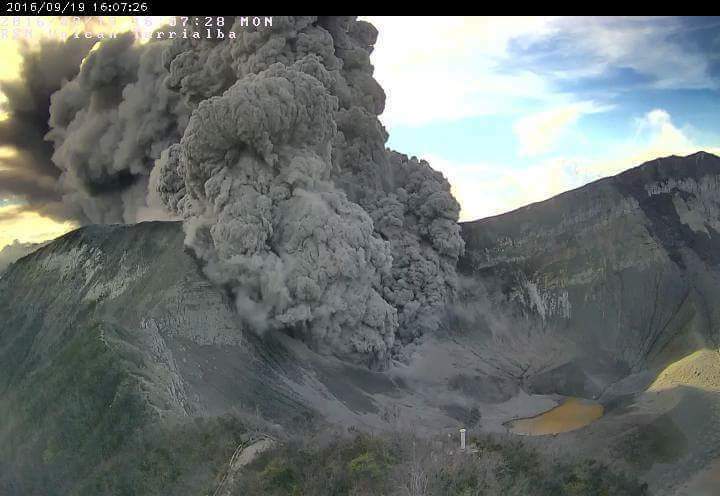 Meanwhile, the Turrialba volcano has had about 13 small eruptive episodes, the eruption from 08:15 reached 700 meters high; others ranged between 300 and 600 meters high from the top of the active crater. 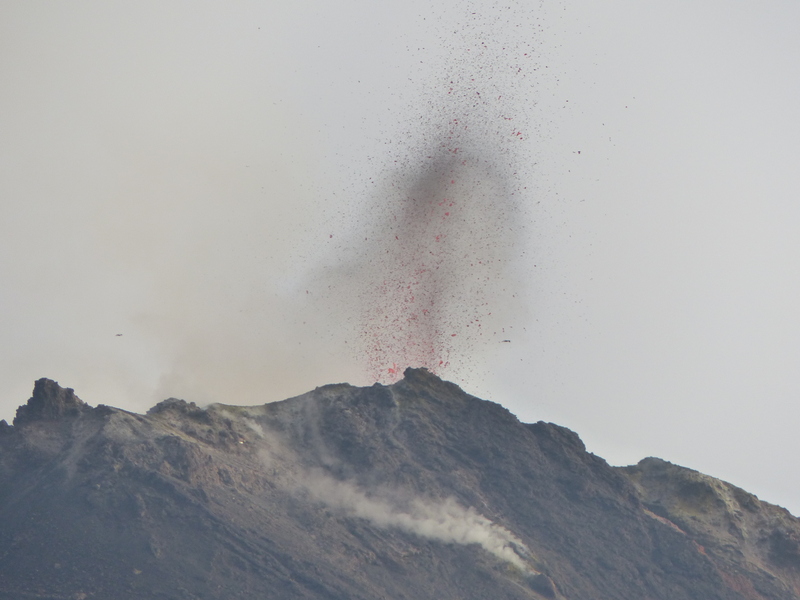 The last eruption took place at 15:43, it was not possible to determine its height because of the cloud cover, the activity lasted about 15 minutes. The scattering of ashes has changed over this period, from the Northwest to the southwest of the crater. It was reported a smell of sulfur and ash falls in various areas of the Central Valley. At the time of this report, the wind direction at the top of the volcano is to the southwest. The OVSICORI-A will issue a report when the activity will require. 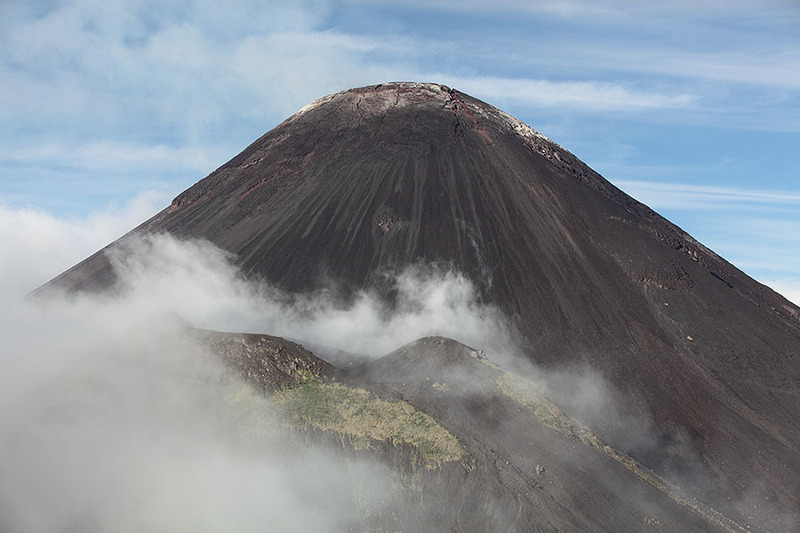 Based on visual observations of Soputan volcano, this one was mostly visible in the mist. The main crater was observed with white smoke, thin, moderately high, rising from 20 to 300 meters and bowing to the east. Calm winds usually of Southeast, South, sometimes North and West had low to moderate speeds. Temperatures between 20 and 38.3 ° C.
Seismicity between 1 and 14 September 2016 has generally shown a type of earthquake Tectonics distant (TJ), earthquake of avalanche and emission earthquakes. While volcanic earthquakes (VA) has almost never been recorded after September 3, 2016, with one episode per day. The number of tectonic earthquakes (TJ) also falls, it has been registered less than 10 episodes per day. The intensity of avalanches, earthquakes compared to previous data begins to decrease showing that the supply of the interior magma towards the surface began to decrease. Based on RSAM graphics, data from dominant frequencies of earthquakes show a decline from July 2016 until now. Based on visual observations and seismicity, and the potential threat of eruption of the G. Soputan until September 14, 2016, the Soputan activity levels still at LEVEL II (Waspada). Intensive monitoring is ongoing to assess the activity of Soputan well as provide information on the danger of eruption of Mount Soputan continuously. 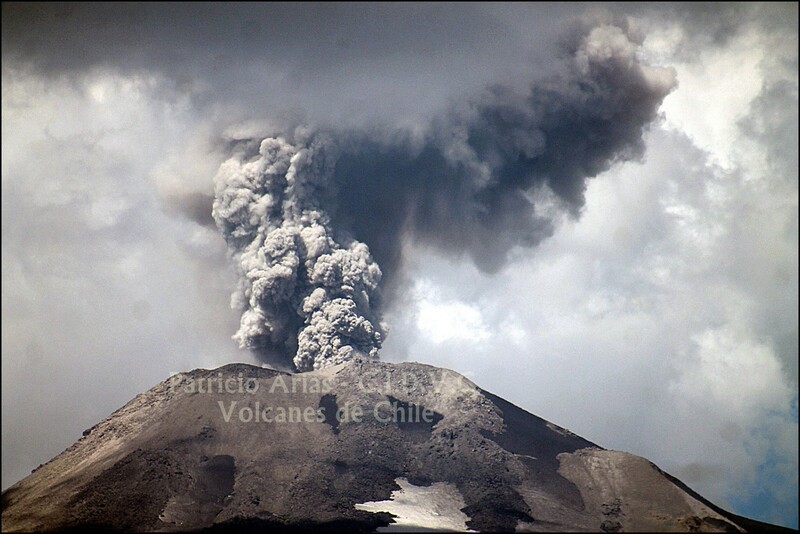 If significant changes in decrease / increase in Soputan volcanic activity occur, activity levels can be lowered / raised in accordance with the level of activity and threats. 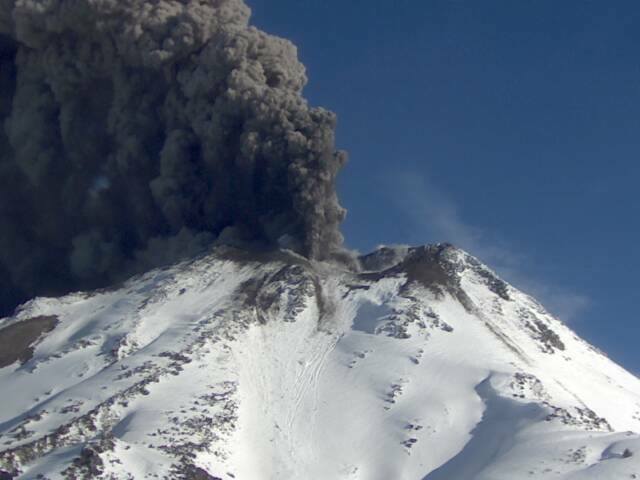 Nevados de Chillan volcanic complex (from 1 to 15 September). Volcanic alert level: YELLOW, changes in the behavior of volcanic activity – likely time for an eruption: weeks / months. 1499 seismic events were recorded, of which thirty-three (33) were related to rock fracturing process, called volcano-tectonic earthquakes (VT) with maximum local magnitude of M 2.2 .. The biggest event was located 2.5 km East–Southeast (ESE) of the active crater at a depth of less than 3.0 km. 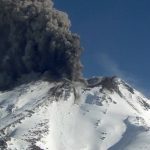 In addition, 1466 earthquakes associated with fluid dynamics inside the volcano have been recorded, of which 1346 were called long-period events (LP) and one hundred twenty (120) classified as Tremor (TR). The LP earthquake with largest local magnitude was M 3.4 , with a reduced displacement value (DRC) of 393 cm, an event that was accompanied by an explosion. In addition, the events f tremor of greater energy has reached a reduced displacement value (DRC) 24.5 cm2, the latter associated with ash emissions recorded on September 11 at 00.24 GMT. The images obtained through the network of cameras installed in the area showed a pulsatile surface activity, characterized by an emission of an whitish plume associated with a high content of water vapor, interrupted from time to time by particulate matter emission, reaching incandescence, observed by the night cameras, this mainly associated with the registration of explosions. During this fortnight, the appearance of 36 explosions stands out in the sector of Craters formed during 2016, which were characterized by a high concentration of particulate matter and a generally poor vertical development. During the overflight conducted on September 2, it was recorded temperatures below 50 ° C, suggesting a predominance of the hydrothermal system in the gaseous emissions. The explosion of greatest energy was on 01 september at 20:55 local time (00:55 GMT on 02), in which the emission of incandescent bombs was visualized with ballistic trajectories, accompanying the main event, and that the registration of an incandescent for 20 minutes associated with a signal of tremor. This explosion was that of major energy registered throughout the observed explosive phase since January 2016. The sulfur dioxide emission (S02) recorded by the DOAS team Chilian Station, located 3 km to the east–northeast (ENE) of the active crater, showed a mean value of 261 ± 201 t / j. Note that due to the pulsatile nature of degassing, data show high variability and intermittent recording. However, an increase was observed in the number of valid measurements obtained during the first half of the month, although the values are similar to the S02 values from the previous month. No abnormalities were reported in sulfur dioxide emissions (S02) in the atmosphere. 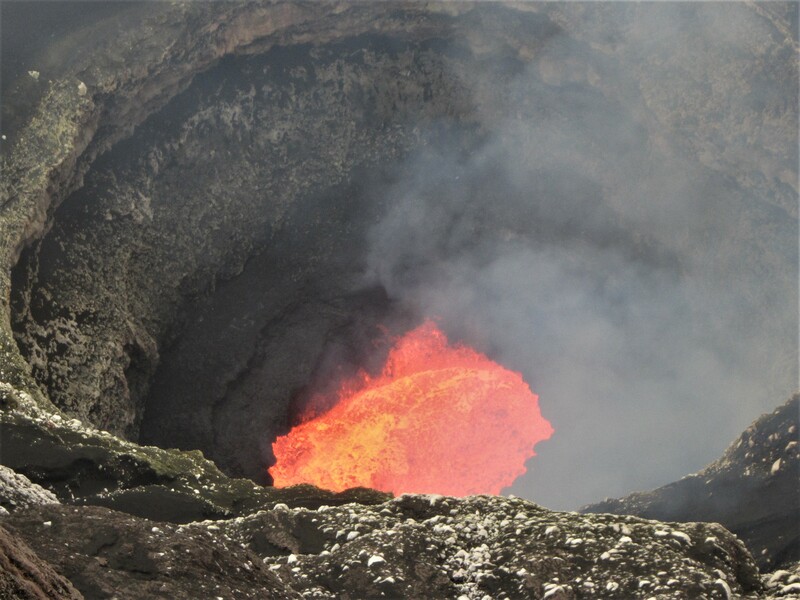 No thermal warning was reported in the area associated with the volcano according to data released by the MODVOLC. Monitoring parameters allow us to deduct a greater dynamic in the magmatic system, although some energy, which affects the surface hydrothermal system generating an explosive character of activity, phreatic and / or phreatomagmatic, with a cyclic change in the stability of surface system. In this scenario, the emergence of new explosions phreatic and / or phreatomagmatic, more intense eruptions from active craters are currently possible. Therefore, the volcanic alert remains at yellow level, and is considered as a high risk zone the area within 3 km of the active craters. Therefore, it is recommended to limit the access to this area. 23/09/2016. FR. Turrialba , Nevado Del Ruiz , Klyuchevskoy , Sheveluch .